Api Morado. Bolivian Food and Recipes. Hot Purple Corn Drink. Api morado (purple api) is made from purple corn. Similar to api blanco (white api), it's served at breakfast time. It’s thick and hearty and can be served hot or cold. Customarily we accompany any type of api with an empanada or other pastry. It’s delicious, although I prefer the deep “grape-y” flavor of purple api. Api morado is prepared in a completely different way as you’ll see when you compare both recipes. 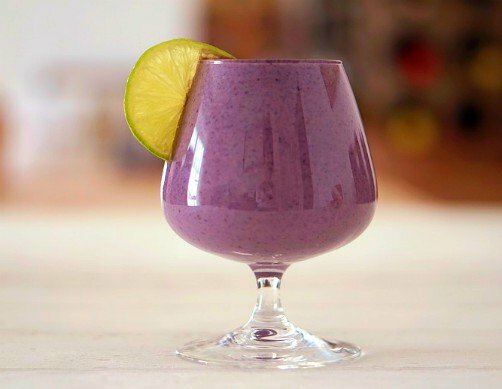 Also be sure to see my recipe for chicha morada another drink made from purple corn! 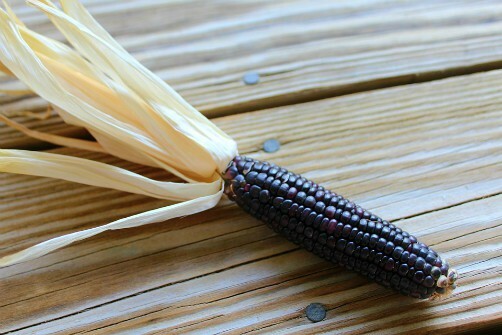 Purple corn is usually sold dried on the cob but you can also buy it in kernels or as purple corn flour. You need ground purple corn or purple corn flour for this recipe. If you use whole purple corn (it is usually sold dried on the cob), cut or break off the kernels and grind them or blend them in a blender or food processor with or without a little water (depending on your food processor). In Bolivia women used to use a mortar and pestle but this takes a long time. If you find purple corn flour (it's sold on Amazon), super! You just eliminated this step. Soak the ground purple corn or corn flour in 6 cups of water for two hours. Boil the remaining 9 cups of water with the cinnamon and cloves while you do this so the water will take on the flavor of the spices. If you used corn flour, add the six cups of soaked corn flour to the nine cups of boiled cinnamon water. If you used ground purple corn, strain the corn from the water, reserving the water and not the corn. Add this purple water and the grated orange rind to the boiled cinnamon water. Cook together, stirring constantly until just a little thick. Add the sugar and chopped pineapple and serve. You can also refrigerate and serve it cold. Either way, it’s thick, hearty, healthy and delicious! It’s like drinking a little Andean history.